Polymorphism means defining multiple methods with same name. Defining multiple methods with same name and with different type of arguments is known as static polymorphism. We can achieve this static polymorphism using method overloading. Defining multiple methods with same name and with same signature in super class and sub class. We can achieve dynamic polymorphism by using method overriding concept in java. Whenever we call the method on t the object based on the object corresponding class method will be executed dynamically. 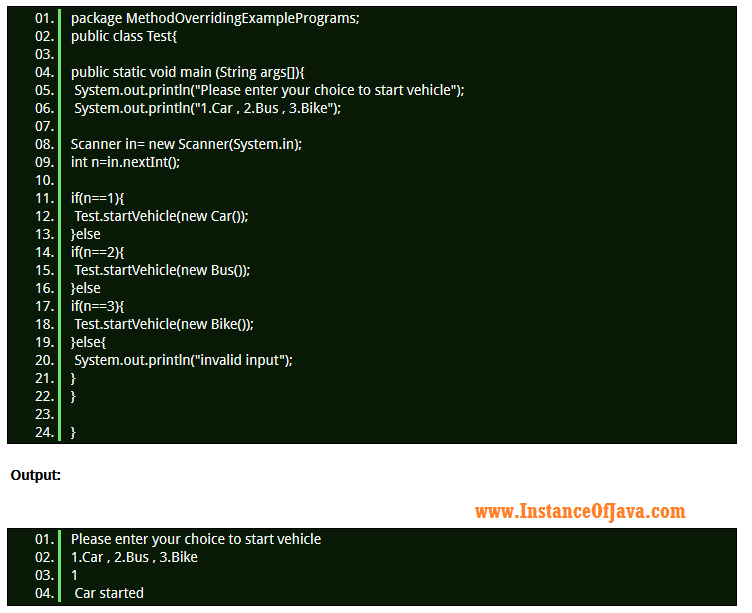 In the above example based on the object creation at run time corresponding class method will be executed.